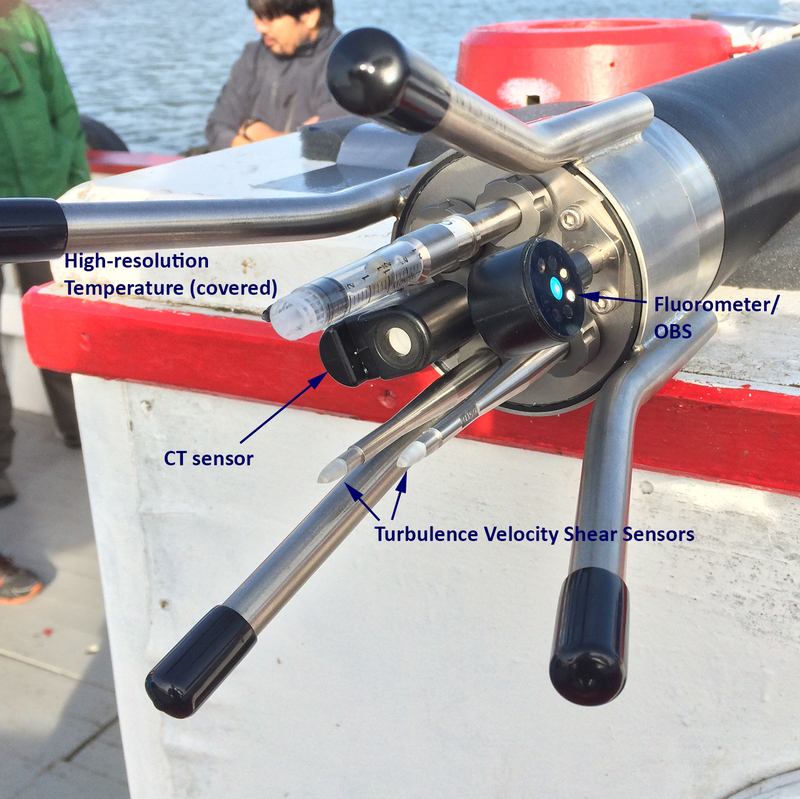 The VMP-250 features an integrated compound fluorometer and optical backscatter (OBS) sensor to measure chlorophyll and turbidity. 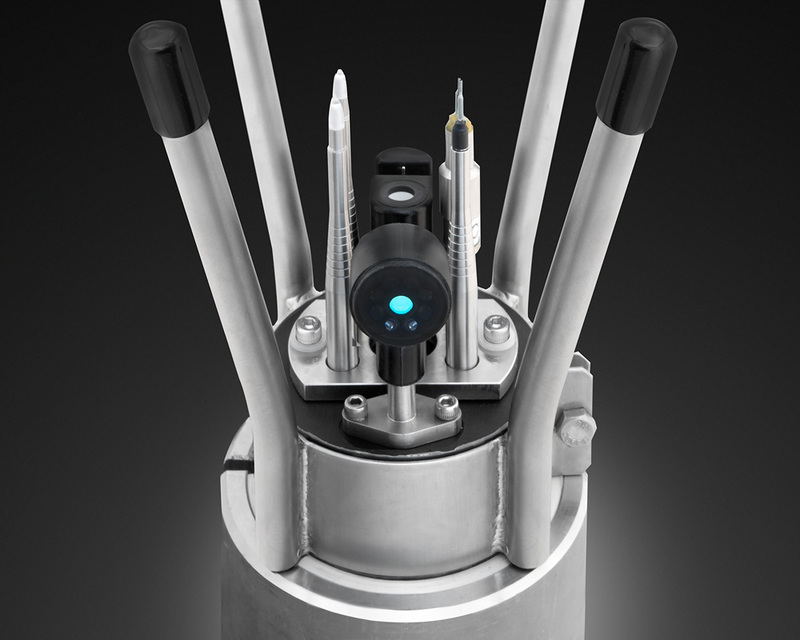 This CLTU-VMP-250 sensor is co-located on the nose of the profiler with the microstructure sensors and designed for Rockland for vertical profiling applications. The CLTU-VMP-250 compound chlorophyll/turbidity sensor uses a light emitting diode for fluorescence and backscattering light. 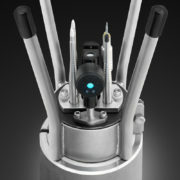 The CLTU-VMP-250 is factory calibrated with Uranine for Fluoresence and Formazine for Turbidity. For calibrated characteristics of sensitivity and sensor specifications, see the figure and table below. The short answer is that the unit for the fluorescence intensity is [ppb], i.e. parts per billion, of the uranine concentration. The value in [ppb] is what is reported after running quick_look or convert_odas in the software provided with the VMP-250 instrument. where A and B are calibration co-efficients that are in your setup.cfg file. 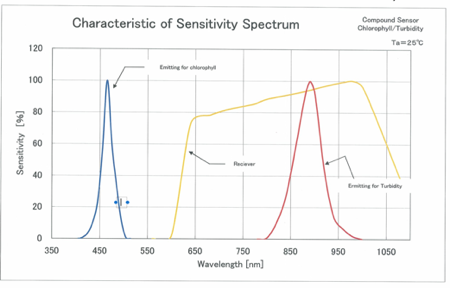 The values of A and B were determined by JFE Advantech Co. Ltd. (the manufacturer of the fluorometer sensor) by comparing the fluorescence signal to a known standard concentration of uranine. You do not need to worry about implementing this equation because it is already handled by the VMP-250 software. However, you should verify that the coefficients in your setup file match those in your calibration report. 2. Collect/filter/analyze for [chl-a] whole water sample at time of deployment and relate to ppb value.